Sierra Wireless, a provider of fully integrated device-to-cloud solutions for the Internet of Things (IoT), has completed the previously announced acquisition of Numerex Corp. The acquisition of Numerex accelerates the company's IoT device-to-cloud strategy by adding an established customer base, proven solutions and recurring revenue scale. As per the terms of the Agreement and Merger Plan, dated on Aug. 2, 2017, Sierra Wireless and Wireless Acquisition Sub, Inc., a wholly-owned subsidiary of Sierra Wireless, issued 3,588,784 common shares in exchange for all of the outstanding shares of Numerex. Additionally, approximately U.S. $24 million was paid at closing to retire outstanding Numerex debt and to repurchase an outstanding Numerex warrant. Including the new shares issued, Sierra Wireless’ number of common shares has increased to approximately 35,808,436 shares. 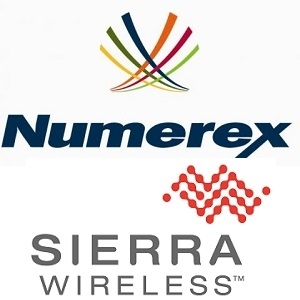 In connection with the completion of the Merger, Numerex has become a wholly-owned subsidiary of Sierra Wireless and Numerex common stock will be delisted from the Nasdaq and will be deregistered under the U.S. Securities Exchange Act of 1934, as amended. Common shares of Sierra Wireless will continue to trade on both the Nasdaq and the TSX under the symbols “SWIR” and “SW”, respectively.